This November we got our EYES ON DIABETES. It is Diabetes awareness month, CATS-NET join the Global campaign to raise awareness about Diabetes. Researches shows that Diabetes causes more deaths a year than breast cancer and AIDS combined. We have all come in contact with people suffering from diabetes from our families, friends, co-workers and even ourselves. 1 – You don’t have to be overweight to develop type 2 diabetes: You might imagine the typical type 2 patient to be heavy and inactive—and think you’re in the clear if you don’t fit that description. You might look healthy on the outside, but any number of unhealthy habits will have your insides behaving as if you are obese—putting you at risk of developing diabetes. 2 – Diet soda might be a trigger: Consuming artificial sweeteners led to signs of glucose intolerance, often a precursor to larger illnesses, such as type 2 diabetes. 3 – Your coffee habit could help keep diabetes at bay: Coffee drinkers has a lower risk of developing type 2 diabetes. 4 – You up your risk when you skip breakfast: When you go to bed, your insulin level is stable, and when you don’t eat in the morning, your insulin level drops—and then spikes and crashes when you eat at lunch. This constant yo-yoing in insulin levels can cause your body to build up an insulin resistance, which can lead to type 2 diabetes. 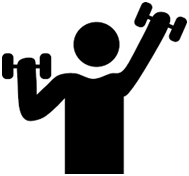 5 – Diet and exercise aren’t the only important factors in reducing your risk: Two other important things that need your attention: sleep and stress. Chronic stress can make your blood-sugar levels skyrocket, and regularly getting less than six hours of shut-eye can double your diabetes risk. 6 – You can assess your own risk.Blood tests are the only surefire way to predict your diabetes risk, but you. Assess your risk and find out how urgent it is to take preventative measures. CATS-NET join hands with our friends and partners this November to raise awareness on Diabetes. 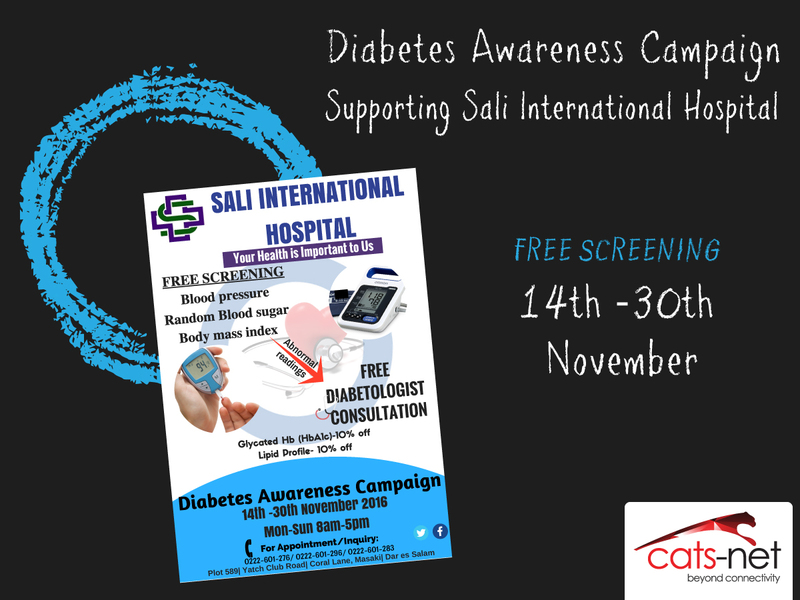 Please visit Sali International Hospital for free Random Sugar Testing,Blood Pressure and Body Mass Index and free Consultation.